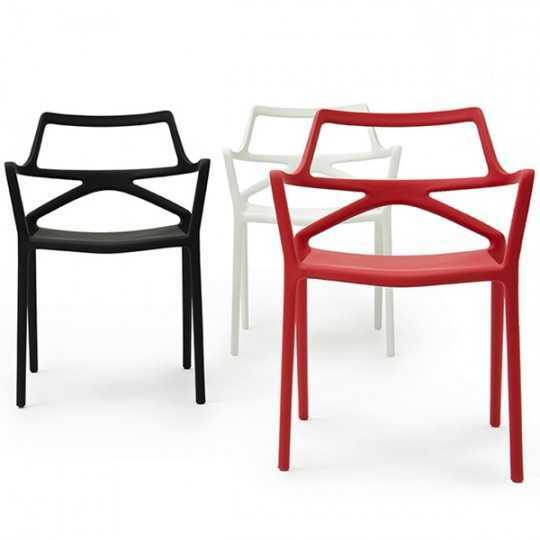 You will find here stunning and highly resistant high bar chairs. 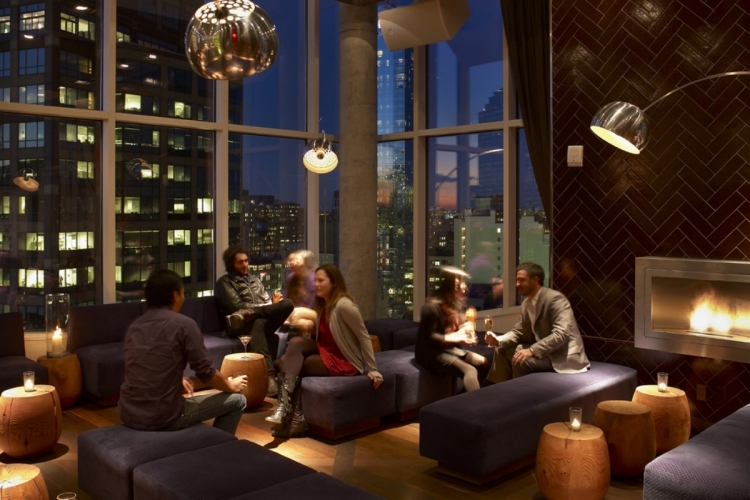 Your customers will appreciate the comfort of these bar chairs. 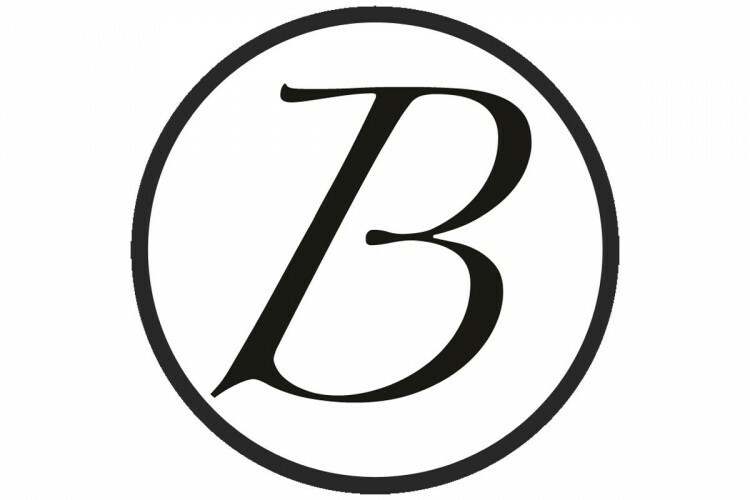 With the range offered by Barazzi, create a unique bar space with all the options and combinations available. 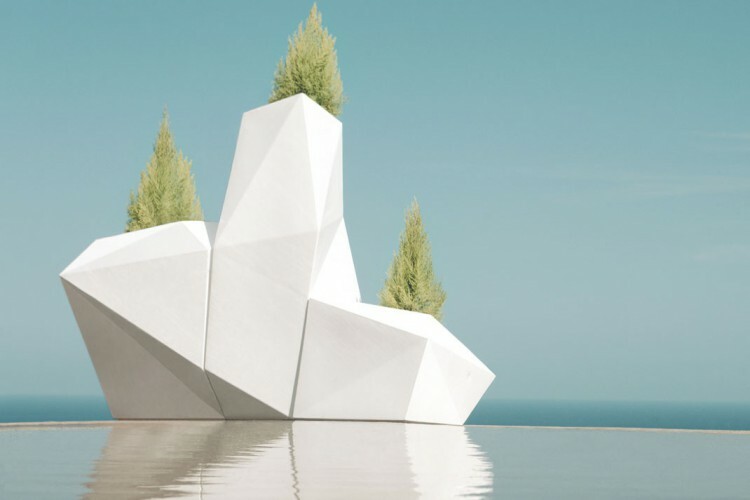 The WALL STREET SILVER Armchair by Vondom can be installed both indoors and outdoors on the terrace. The wrapping curves of this chair will seduce your customers with its comfort and will withstand the test of time thanks to its polypropylene material. 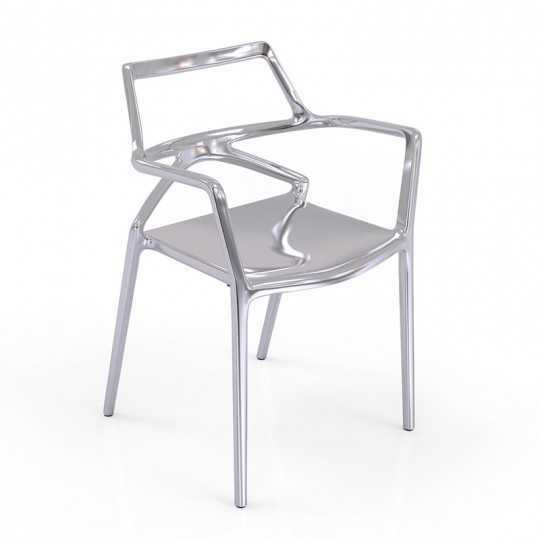 The new glossy silver colour of this restaurant chair catches everyone's eye. 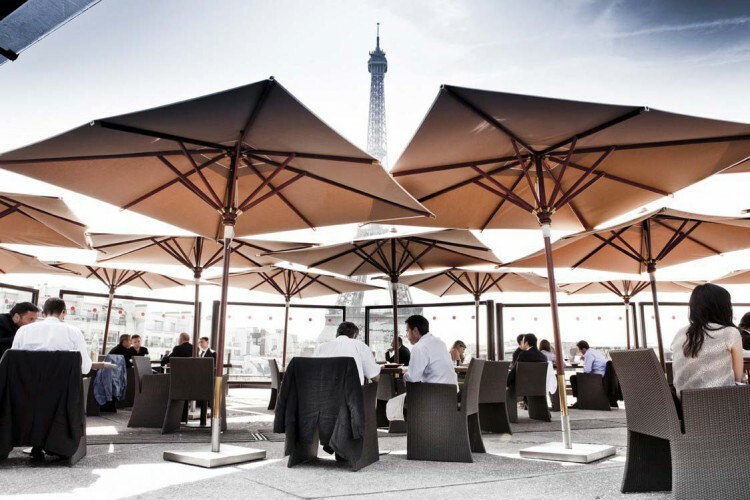 The WALL STREET GOLD chair by Vondom can be installed both indoors and outdoors on the terrace. The wrapping curves of this chair will seduce your customers with its comfort and will withstand the test of time thanks to its polypropylene material. 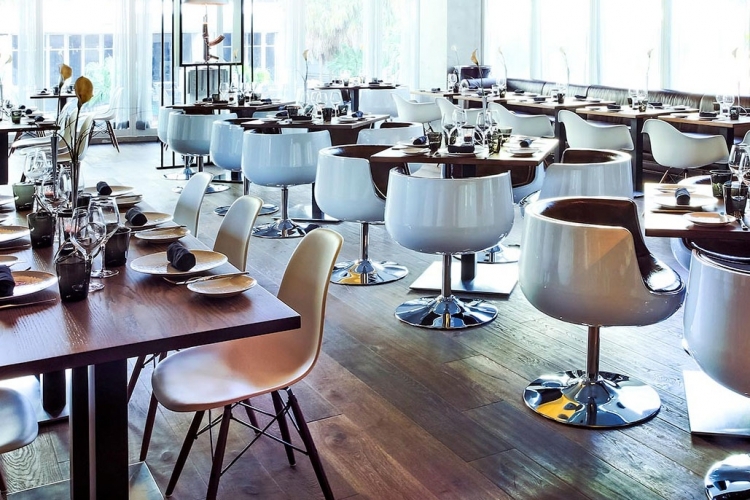 The new glossy gold colour of this restaurant chair catches everyone's eye. The AFRICA SILVER chair is made for indoor and outdoor use. Its enveloping features will seduce your customers and withstand the ravages of time thanks to its polypropylene material. Its bright silver metallic colour gives your restaurant a special touch. Very practical for professionals, this chair is stackable. The AFRICA GOLD chair can be installed both indoors and outdoors. Its enveloping design will seduce your customers and withstand the test of time thanks to its polypropylene material. Its glossy golden colour gives your restaurant a special touch! 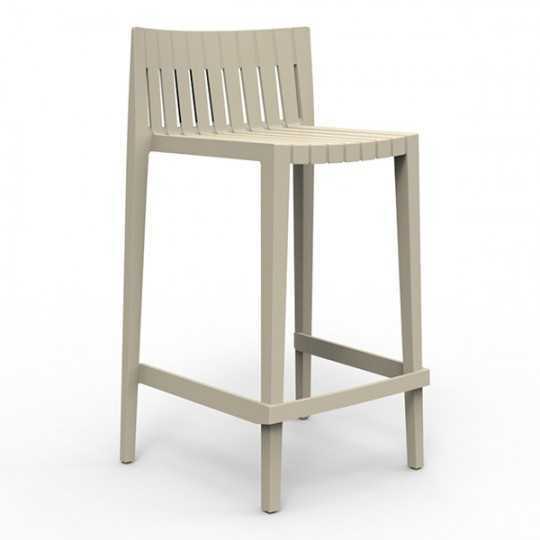 Very practical for catering professionals, this chair is stackable. 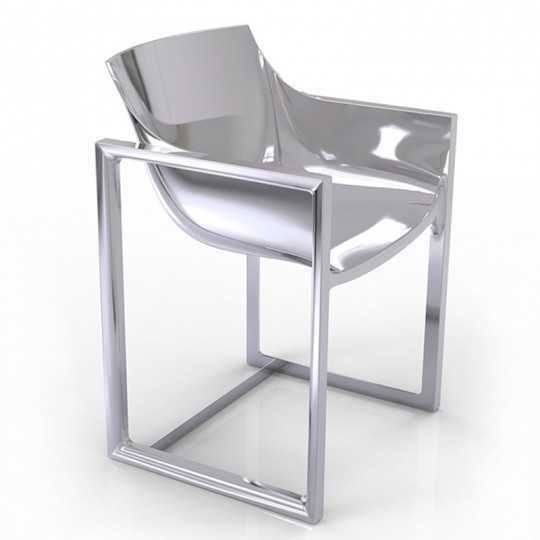 DELTA SILVER Chair is a seat, with armrests, created by the Spanish brand Vondom. 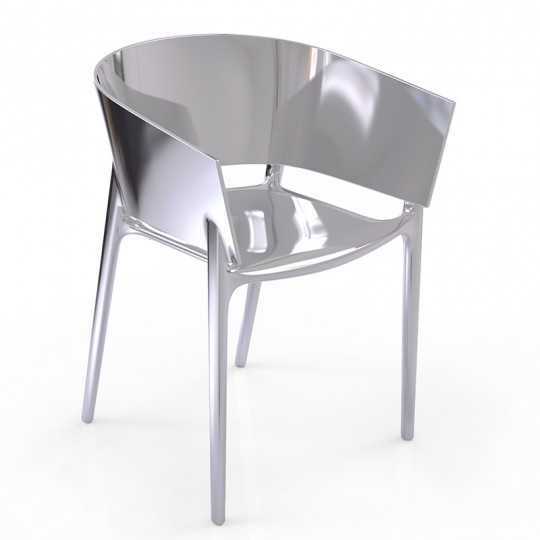 The glossy silver colour of this restaurant chair is eye-catching. 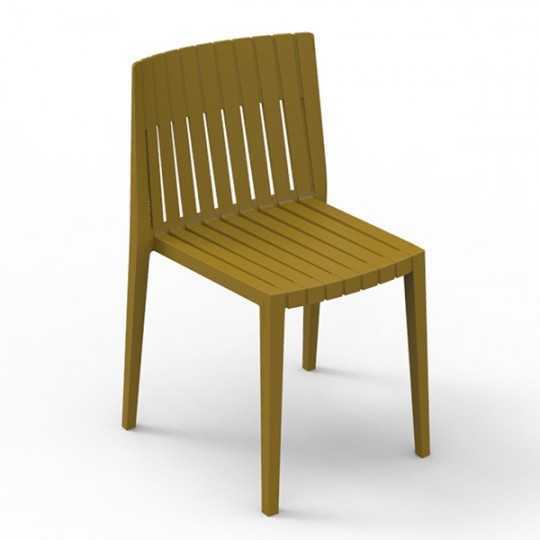 Designed for professionals, this armchair is stackable, practical to store on a Bar or Restaurant Terrace. It is designed for intensive outdoor use. 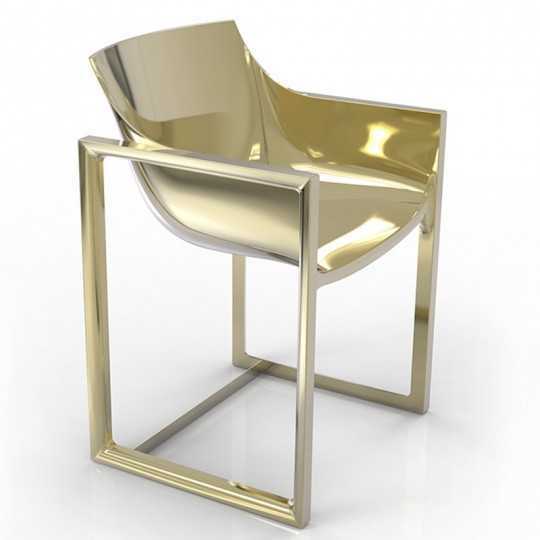 DELTA GOLD Chair is a seat, with armrests, created by the Spanish brand Vondom. 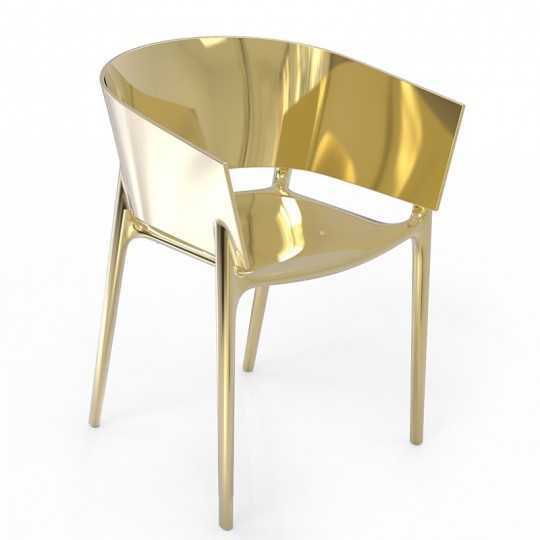 The glossy gold colour of this restaurant chair is eye-catching. 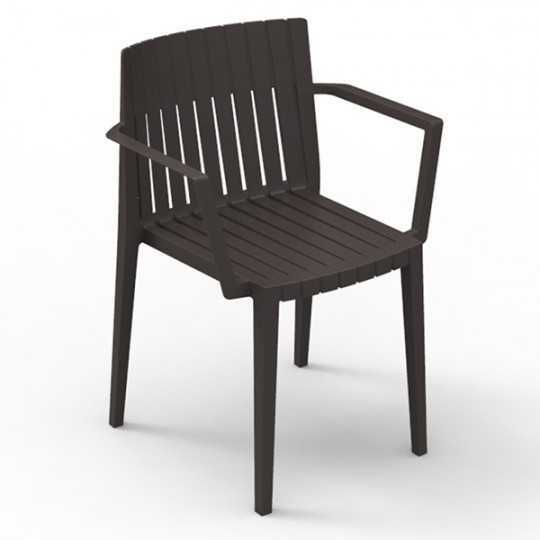 Designed for professionals, this armchair is stackable, practical to store on a Bar or Restaurant Terrace. It is designed for intensive outdoor use. The KIMONO chair is a polycarbonate stackable chair. 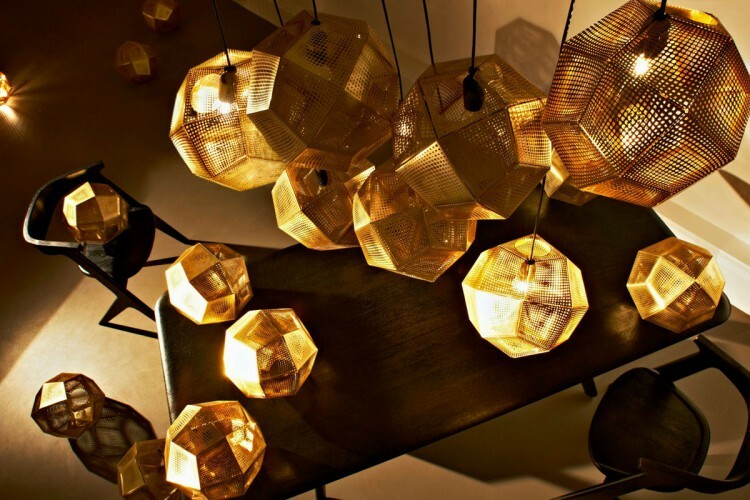 Inspired by traditional Japanese costumes, this faceted chair generates a series of highlights and transparencies. The KIMONO Chairs suitable for both Indoor and Outdoor use. 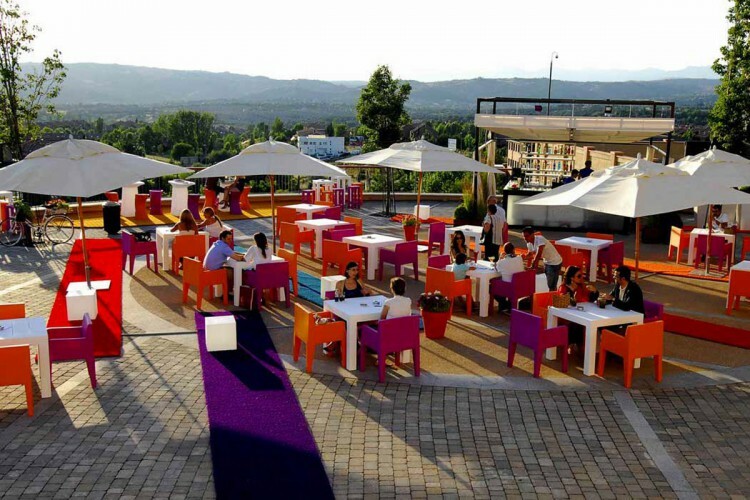 It is ideal for Hotels, Cafes, Bars, Restaurants, public spaces... Designed and manufactured in Spain, Europe. DELTA Chair is an armchair, with armrests, created for the Spanish brand Vondom.Imagined for professionals, this armchair is Stackable, convenient to store on a Bar or Restaurant Terrace. It is designed for intensive outdoor use. 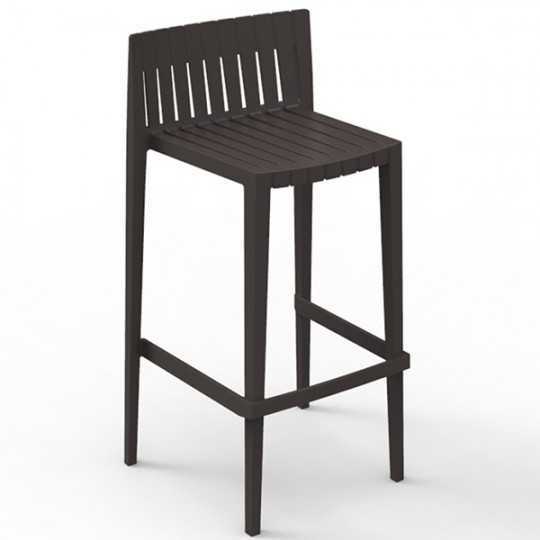 SPRITZ 87 Bar Stool is a high seat created by Vondom Professional Furniture brand.Thought for the outdoor equipment in hotel and catering, this stool is Stackable. It is convenient to store on a terrace for example. It is specially designed for intensive use: Bar, Restaurant, Lounge, Hotel. SPRITZ 97 Bar Stool is a seat created by Vondom Professional Furniture brand.Imagined for hotel and catering equipment, this high seat is Stackable, convenient to store in Outdoor on a Terrace. It is specially designed for intensive use: Bar, Lounge, Restaurant, Hotel. 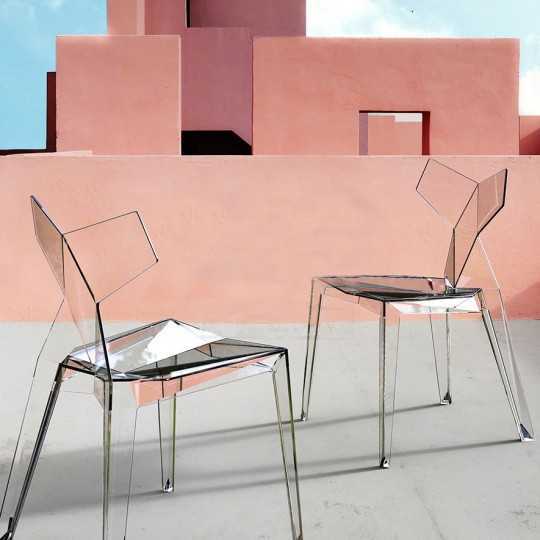 SPRITZ Chair is a seat created by the Spanish brand Vondom.Designed for professionals in the hotel and catering business, this Chair is Stackable, convenient to store on a Lounge Terrace. It is specially designed for outdoor use. SPRITZ Armchair is a chair with armrests created by the brand Vondom.Imagined for professionals, this armchair is Stackable, convenient to store on a Bar or Restaurant Terrace. It is designed for outdoor use.